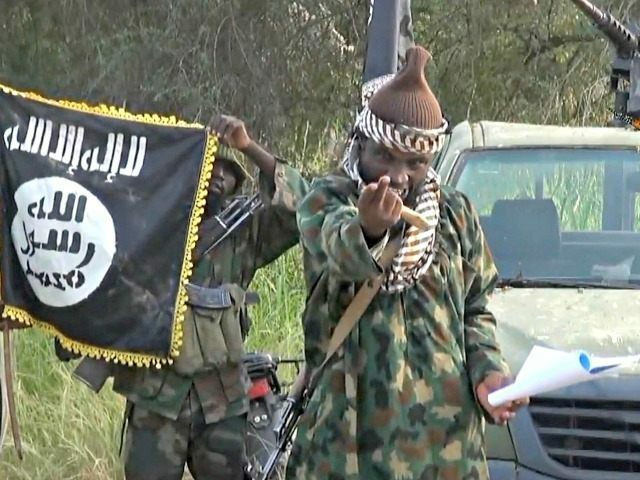 A Spanish court has filed a formal complaint against the Nigerian jihadist terror group Boko Haram, citing the principle of universal justice, after discovering a Spanish victim of the group: a nun who was accosted in 2013 by terrorists belonging to the group. The complaint, found in full here, charges the group and its leader, Abubakar Shekau, with acts of terrorism and demands further investigation into potential crimes against humanity. It notes that such a criminal complaint cannot rely solely on the “universal justice” legal principle, but must have a direct tie to Spain, whether it be Spanish identity on the part of a victim or perpetrator, or that the crimes be committed on Spanish soil. The act in question that the court claims permits it to hold jurisdiction over Boko Haram is an attack on the village of Ganye in eastern Nigeria in 2013. National Court judge, Fernando Andreu, claims that Maria Jesus Mayor, a Spanish nun, was present at the attack. The complaint claims Mayor was the victim of “molestation and coercion” and only escaped back to Spain with the help of the Nigerian government. Mayor’s whereabouts are unknown, and the court has demanded she be found and brought to testify. It makes clear that the complaint is not exclusively for the Ganye attack, but that the attack against a Spanish citizen belonged within “a generalised context of actions of a terrorist nature by the jihadist organisation.” The court also requests that the United Nations and NGOs like Human Rights Watch help research Boko Haram’s crimes to best build a case against the group and a full report on Boko Haram from Interpol. The Associated Press notes that the Spanish government has used universal justice broadly to bring international cases into Madrid-controlled courts, including a case against former Chilean leader General Augusto Pinochet and former Chinese president Jiang Zemin for human rights violations in Tibet. Boko Haram leader Abubakar Shekau’s location remains unknown, and he has been declared dead several times in the past three years–though the group denies this. It is highly unlikely that Spanish law enforcement will be able to locate and extradite Shekau. By prosecuting Boko Haram, however, Spain has done what the Nigerian government has failed to do. While Nigerian soldiers whom the government could find and capture have been court-martialed for inappropriate actions during the fight with Boko Haram, the nature of the conflict has led to the Nigerian government killing most of the Boko Haram terrorists they engage with successfully, rather than capturing them. Boko Haram, which recently changed its name to the Islamic State West Africa Province (ISWAP), suffered major setbacks in early May, when the Nigerian military began an operation to eliminate the terrorists from the Sambisa forest in northern Nigeria, believed to be the group’s last major stronghold. Since the attacks, Boko Haram has begun engaging in an increased number of suicide bombings, using women and girls as vehicles. While the terrorist group did not manage to disrupt Nigeria’s presidential elections this year, it was high on the list of voter concerns and, many observers believe, a major factor in the victory of President Muhammadu Buhari, who was inaugurated Friday. Buhari is a Muslim from northern Nigeria who has been personally targeted by a Boko Haram bomb. He made fighting terrorism a major part of his election platform. Goodluck Jonathan, the outgoing president, was routinely the target of criticism for not having vanquished the jihadists.